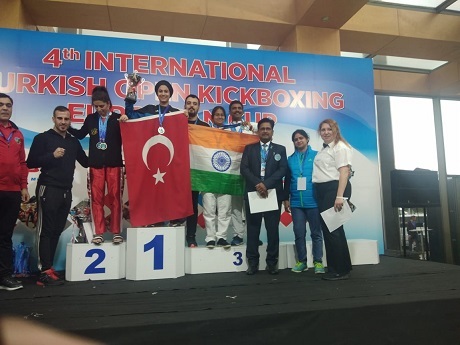 The Kickboxing player of Professor Jayashankar Telangana State Agricultural University (PJTSAU) B.Sc Agriculture 3rd year student V Manasa Reddy had won the one silver medal and one bronze medal in the 4th International Turkish open Kickboxing Tournament, held at Antalya in Turkey during 4th April to 7th April. 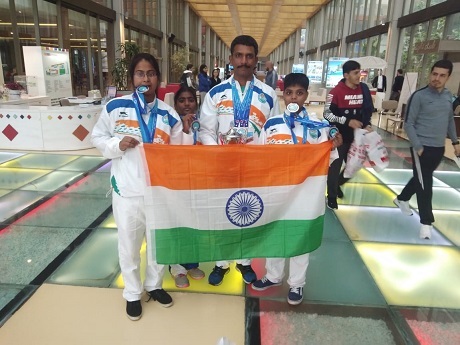 Manasa Reddy and Her coach Ramanjaneyulu are returned from the Turkey on 10-04-2019 and met with VC and explained about their tournament experiences. 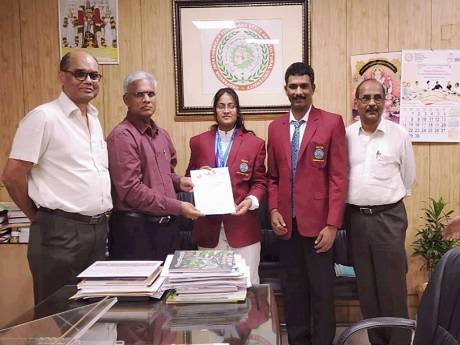 Hon'ble Vice Chancellor of PJTSAU Dr. V. Praveen Rao, Registrar Dr. S. Sudheer Kumar and Dean of Students Affairs Dr. D. Vishnuvardhan Reddy, were appreciated the Manasa and her coach Ramanjaneyulu, for won the medals in the international tournament. Manasa Reddy got one silver medal in senior Musical form weapon and bronze medal in senior Musical form categories. Manasa Reddy pursuing her undergraduate course from Agriculture College, Jagitial. Which is the constituent college of PJTSAU. 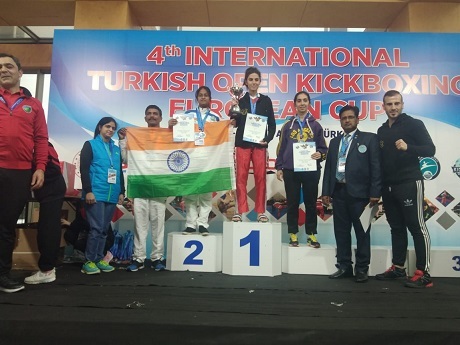 She participated in several national level Kickboxing tournaments held at Delhi, Kolkata and won the medals on behalf of University. Rajendranagar, Hyderabad-500 030 Telangana, India.